Majid Nazem works in the area of computational mechanics, and is interested in the application of numerical methods in geotechnical problems. Computational Geomechanics Finite Elements Method Finite Plasticity Contact Mechanics Dynamic Soil-Structure Interaction . CIVL3280 – Geomechanics II. CIVL4110 – Theory of Structures III. CIVL4201 – Geotechnical and Geoenvironmental Engineering. CIVL4830 – Stress and Finite Element Analysis. GENG1001 – Introduction to Engineering Mechanics. GENG1002 – Engineering Computations. Representative of Discipline of Civil, Surveying, and Environmental, Marketing Committee Group (MCG) of the Faculty of Engineering and Built Environment. Numerical analysis of reinforced concrete structures Dynamic analysis of geotechnical problems Adaptive finite element methods Multi-seam mining/ land subsidence. © 2018 Amir Falamarzi et al. Tram is classified as a light rail mode of transportation. Tram tracks experience high acceleration and deceleration forces of locomotives and wagons within their service life and also share their route with other vehicles. This results in higher rates of degradation in tram tracks compared to the degradation rate in heavy rail tracks. In this research, gauge deviation is employed as a representative of track geometry irregularities for the predication of the tram track degradation. Data sets used in this research were sourced from Melbourne&apos;s tram system. For model development, the data of approximately 250 km of tram tracks are used. Two different models including a regression model and an Artificial Neural Networks (ANN) model have been applied for predicting tram track gauge deviation. According to the results, the performances of the regression models are similar to the ANN models. The determination coefficients of the developed models are above 0.7. © 2015 Elsevier Ltd. The aim of this paper is to address a number of significant challenges in the analysis of multiphase unsaturated soils when subjected to both static and dynamic loading. These challenges include the non-linear behaviour of the solid skeleton of the soil as well as the means by which the unsaturated nature of the multi-phase soil is dealt with. A review of some fundamental issues in partially saturated soils as well as the governing equations are presented and then the application of the generalised-. a algorithm for time integration of the global equations of motion for unsaturated soils is demonstrated. Solutions to these equations obtained by the finite element method are validated by recently presented analytical solutions. A description of the selected constitutive model and its integration is also presented, together with a strategy to verify the numerical implementation. Finally, solutions for the classic problem of static loading of a rigid footing resting on a partially saturated (three-phase) soil and a fully saturated (two-phase) soil are presented. © 2015. Dynamic penetrometers have been used for offshore oil and gas industry applications such as pipeline feasibility studies and anchoring systems, and military applications including naval mine countermeasures and terminal ballistic studies. The main challenge of using dynamic penetrometers is the interpretation of their test results in order to deduce the mechanical properties of the penetrated soil via empirical or theoretical relations. Recently, a robust numerical method based on the Arbitrary Lagrangian-Eulerian (ALE) technique has been developed for analysing dynamic penetration problems and used to investigate a smooth penetrometer free falling into a uniform layer of clayey soil. Numerical as well as experimental results indicate that the penetration characteristics, including the impact energy, total time, and total depth of penetration, depend on the mechanical properties of the soil including its stiffness and strength parameters as well as the geometry of the penetrometer and its initial impact energy. In this study, the ALE method is employed to study the effect of shear strength increasing with depth (a common condition of seabed deposits) on the penetration characteristics of a free falling penetrometer. Conducting more than two thousand numerical simulations has shown that there is an approximate quadratic relation between the final embedment depth of a FFP penetrating into a non-uniform clay soil and the combined kinetic energy on contact with the soil and subsequent loss in potential energy of the penetrometer. In this paper high-order triangular elements are implemented in the framework of the Arbitrary Lagrangian-Eulerian method for the analysis of large strain consolidation problems in geomechanics. The theory of consolidation, as well as details of the high-order elements, including cubic (10-noded), quartic (15-noded), quantic (21-noded) and sextic (28- noded) elements are discussed. The accuracy and the efficiency of high-order elements in the analysis of consolidation problems are demonstrated conducting a small deformation analysis of the soil under a strip footing as well as a large deformation analysis of a vertical cut subjected to a surcharge loading. Based on the numerical results, it is shown that high-order elements not only improve the accuracy of solution but can also significantly decrease the required computational time. It is also demonstrated that assuming identical order for displacement shape functions and the pore water pressure shape functions does not affect the stability of the time-marching analysis of consolidation nor the accuracy of the numerical predictions. © 2014 Elsevier Ltd. Geotechnical applications often involve large displacements of structural elements, such as penetrometers or footings, in soil. Three numerical analysis approaches capable of accounting for large deformations are investigated here: the implicit remeshing and interpolation technique by small strain (RITSS), an efficient Arbitrary Lagrangian-Eulerian (EALE) implicit method and the Coupled Eulerian-Lagrangian (CEL) approach available as part of commercial software. The theoretical basis and implementation of the methods are discussed before their relative performance is evaluated through four benchmark cases covering static, dynamic and coupled problems in geotechnical engineering. Available established analytical and numerical results are also provided for comparison purpose. The advantages and limitation of the different approaches are highlighted. The RITSS and EALE predict comparable results in all cases, demonstrating the robustness of both in-house codes. Employing implicit integration scheme, RITSS and EALE have stable convergence although their computational efficiency may be low for high-speed problems. The CEL is commercially available, but user expertise on element size, critical step time and critical velocity for quasi-static analysis is required. Additionally, mesh-independency is not satisfactorily achieved in the CEL analysis for the dynamic case. © 2014 American Society of Civil Engineers. This paper investigates the application of high-order elements within the framework of the arbitrary Lagrangian-Eulerian method for the analysis of elastoplastic problems involving large deformations. The governing equations of the method as well as its important aspects such as the nodal stress recovery and the remapping of state variables are discussed. The efficiency and accuracy of 6-, 10-, 15-, and 21-noded triangular elements are compared for the analysis of two geotechnical engineering problems, namely, the behavior of an undrained layer of soil under a strip footing subjected to large deformations and the soil behavior in a biaxial test. The use of high-order elements is shown to increase the accuracy of the numerical results and to significantly decrease the computational time required to achieve a specific level of accuracy. For problems considered in this study, the 21-noded elements outperform other triangular elements. 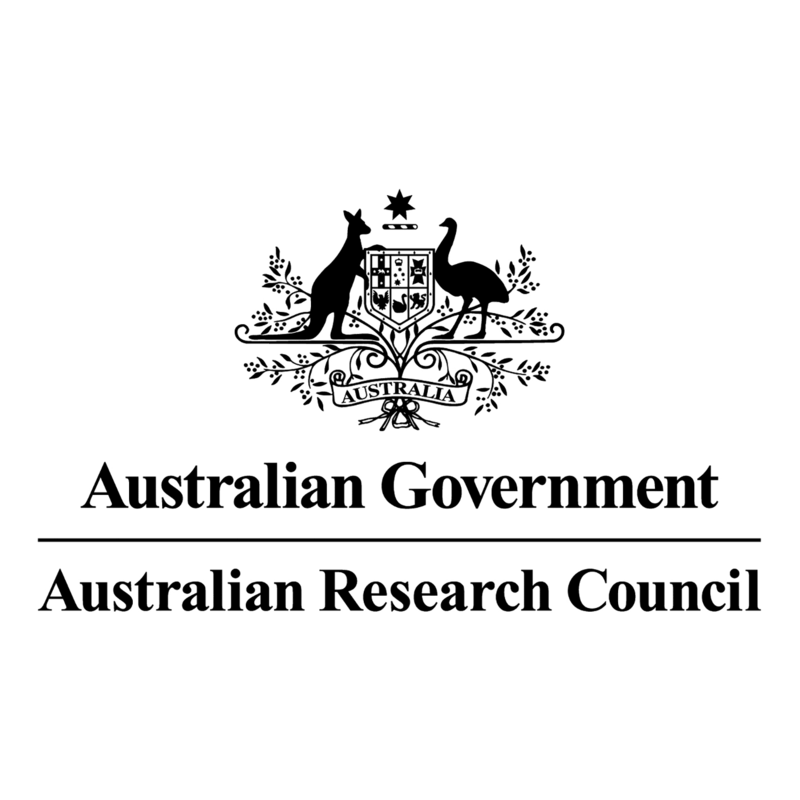 This paper provides an overview of the work of the Australian Research Council-funded Centre for Geotechnical Science and Engineering on free falling projectiles that have applications as seabed characterisation tools and as anchoring systems for floating facilities. These projectiles are released in water and dynamically embed into the seabed through the kinetic energy they gain during freefall. The high penetration velocity, which can be up to 25 m/s at impact with the seabed, induces shear strain rates in the soil that are up to eight orders of magnitude higher than in a typical laboratory test. The difficulty in quantifying the soil strength at these very high strain rates, together with hydrodynamic aspects including pressure drag and potential water entrainment along the projectile-soil interface, complicates assessment of the penetration response. A large database of centrifuge and field data has been collated by the Centre and is used in this paper to quantify embedment potential and to examine the merit of a simple analytical framework that captures the dynamic response of free-falling projectiles. Aspects of the dynamic embedment process that cannot be predicted by the analytical framework, including potential hole closure during installation and pore pressure generation are investigated in finite element analyses that model the dynamic penetration of projectiles in soil. Example results from these analyses are provided. In this paper high-order triangular elements are implemented in the framework of the Arbitrary Lagrangian-Eulerian method for the analysis of large strain coupled consolidation problems in geomechanics. The theory of coupled consolidation, as well as details of the high-order elements, including quadratic (6-noded), cubic (10-noded), quartic (15-noded) and quantic (21-noded) elements, are discussed. The accuracy and the efficiency of high-order elements in the analysis of undrained problems are presented by solving two classical geomechanics problems. These include the bearing capacity of soil under a footing and the large deformation analysis of a vertical cut subjected to a surcharge loading. Based on the numerical results, it is shown that high-order elements not only improve the accuracy of the solution, but can also significantly decrease the required computational time. In this paper we study the performance of the discrete element method (DEM) and the extended finite element method (XFEM) modelling the crack initiation, propagation and coalescence in fractured rock masses. Firstly, the crack propagation in a rock sample with single closed and open flaws and subjected to an uniaxial compression is simulated by the DEM and XFEM. The results obtained by the two methods are then compared with the experimental results reported by Park and Bobet (2009). Under an uniaxial compression load, two types of cracks are observed including the tensile or wing cracks, and the shear or secondary cracks. The results obtained by the DEM are in good agreement with the experimental results, viz., both wing and shear cracks are accurately modelled. The XFEM, on the other hand, can predict the tensile (wing) cracks, but fails to model the shear cracks. In second part of this study we consider the analysis of fracture propagation and coalescence in rock masses containing two open or closed flaws. The results predicted by the DEM and XFEM are then compared with experimental test results. Coalescence is produced by the linkage of two flaws and a combination of wing and secondary cracks. In the crack propagation and coalescence problem, the DEM is able to predict all cracks involved in rock fracturing, such as the wing and secondary cracks, as well as the crack linkage between two adjacent flaws and their subsequent coalescence. However, the XFEM results only represent the wing cracks, and the method fails to predict the shear cracks. Finally, the effect of filling materials in open flaws on the crack propagation is investigated. The results indicate that the initiation and propagation of cracks and their coalescence in a material containing open flaws significantly change when the flaws are filled with a weak material. © 2014 Elsevier B.V. All rights reserved. © 2015 Taylor & Francis Group, London. There exist many problems in the offshore geotechnical setting which necessitate a dynamic analysis or a consolidation analysis. In recent years literature on this topic has been dominated by the application of Finite Element Methods to solving such problems and addressing the inherent shortcomings associated with their use. These issues include, but are not limited to, the occurrence of mesh distortion in problems involving large deformations and the inability to adequately capture discontinuities. The intrinsic nature of meshfree methods, however, makes them a more appropriate means of solving offshore geotechnical problems. This study presents a robust Maximum-Entropy Meshless method for nonlinear analysis of offshore problems in which the effect of time-dependent behaviour cannot be ignored. The Generalised-a time integration scheme and the Backward-Euler method are respectively employed for dynamic analysis and coupled analysis of such problems. The applicability of this meshless method is presented by studying the undrained soil behaviour under a circular footing subjected to dynamic loading as well as static loading. The main aim of this study is to apply a robust time integration technique for simulating the behaviour of unsaturated soils subjected to dynamic loads. The governing equations of the three soil phases and their interactions are derived based on the mass conservation law, linear momentum balance and energy conservation of each phase in an isothermal environment. In addition, a number of experimental equations are employed to represent the hydraulic conductivity and the drainage characteristics of the soil, such as the suction-saturation relationship and the dependency of the hydraulic conductivity on suction. The global system of equations is then solved by using an implicit time-stepping algorithm based on the Generalised-a integration scheme. The accuracy of the numerical model and the finite element code is verified by comparing the numerical results with results obtained by an analytical solution. © 2015 Taylor & Francis Group, London. Copyright © 2015 by the International Society of Offshore and Polar Engineers (ISOPE). Dynamic compaction is known as one of the most cost-effective soil improvement techniques. In this method the soil at the ground surface or at a relatively deep depth is compacted by repeatedly dropping heavy weights on the ground. Since its introduction, dynamic compaction has exhibited its versatility and simplicity of use in different types of civil engineering projects, including building structures, container terminals, highways, airports, dockyards, and harbours. However, despite the abundance of experimental data and field observation reports, few numerical approaches have been established in the literature to effectively deal with soil behaviour under dynamic compaction. This is mainly due to the dependence of soil dynamic response on variations in the moisture content. Therefore, to achieve a comprehensive understanding of dynamic compaction the soil should be modelled as a three-phase porous medium. The presence of a non-wetting and a wetting phase, together with the existence of inertia forces in each phase, makes the solution of the coupled dynamic system computationally demanding. Moreover, large deformations often take place during dynamic compaction; hence the infinitesimal strain theory cannot be employed for higher impact loads. In this paper a finite element approach is introduced to numerically simulate the problem of dynamic compaction under the framework of unsaturated soil mechanics. The governing equations are derived based upon the overall momentum balance of the mixture, the mass balance of the liquid phase, and the mass balance of the gas phase. Phase changes and chemical reactions are not considered. Among other important parameters, the effect of the degree of saturation on the soil response will be addressed. Copyright © 2015 by the International Society of Offshore and Polar Engineers (ISOPE). The dynamic penetration of anchors into the seabed is an important problem in offshore geomechanics and one of the most challenging for geotechnical analysts. Complications due to the nonlinear material response of the soil, the large deformations caused by the insertion of the object, and the changing boundary conditions at the contact between the soil and the anchors must be taken into account. Moreover, the presence of a pore fluid, and the pressure that it may exert, requires a fully coupled displacement-pore pressure analysis. Recent work has facilitated the modelling of the dynamic penetration of objects into soil. The finite element method is one of the most commonly used techniques for tackling problems of soil penetration because the resulting solutions satisfy the equation of dynamic equilibrium and the method can incorporate sophisticated soil models as well as complex boundary conditions. This study discusses a number of challenging aspects of the numerical simulation of dynamically embedded anchors, particularly torpedo anchors, and presents a robust analysis strategy for such problems. This technique is based on the Arbitrary Lagrangian-Eulerian method and rigorously incorporates displacements, velocities, and accelerations of the solid phase along with the pore pressure and velocities of the fluid phase. This paper addresses the application of high-order elements in the analysis of soil penetration problems, particularly those involving inertia forces and large deformations. Among others, 15-node triangular elements are formulated within an Arbitrary Lagrangian-Eulerian finite element method. Preliminary studies indicate that high-order elements can significantly decrease the analysis time without significant loss of accuracy. © (2014) Trans Tech Publications, Switzerland.